We are right at the two-week mark for the April 4th Legacy FC 30 event to be held just outside of Albuquerque inside the Route 66 Casino. My best advice to the fight fans of the area is to make sure you already have the tickets to the event or are planning on snagging some up very soon as this event is definitely a “must-see” fight card. Legacy FC 30 features so many talented locals and is blossoming with storylines within the evening’s fight card. The storylines are of great intrigue and the match-ups very compelling; this is not the time to skip out on an event. We can almost guarantee that on Sunday, April 6th, our post-fight analysis will be full of content as the Legacy FC 30 event is stacked in their professional line-up; from the headliner to the match making, Legacy FC 30 delivers in just about every way you can imagine. To prepare the fight fans for the event, we thought we’d continue sharing some of the reasons why you should be excited to be in attendance on April 4th. Our first reason centered around Holly Holm, her headlining bout and how close she is to leaving the regional scene behind. Today’s reason follows two fighters who currently train here in New Mexico and match-up with one another in a highly anticipated bout. Judgement MMA’s Adrian Cruz works with Head Coach Scott Marlowe. Cruz is a talented striker with methodical grappling talents to compliment the stand-up. Representing Rio Rancho’s Judgement MMA, Adrian Cruz (5-1) is one of the top draws in New Mexico when it comes to ticket sales, fan support, and top talent. The once defeated Cruz has become a staple of our local MMA scene both in his community outreach and in his in-cage performances. A three-fight Bellator MMA veteran, Cruz had a tremendous 2013 going for him until a late-year loss robbed him of his undefeated status. Now back in action, Cruz will be faced with one of the most difficult scenarios a fighter will face in a combat career, returning to form from a first defeat. Will Cruz come back stronger than ever? Will he return improved in the areas he found himself needing to fix after his defeat? Nobody could ever question the work ethic and dedication of Cruz as he embodies hard-work and during his five fight win streak, Cruz looked better and better in each outing. Cruz is a work horse in the cage, he is a gritty and rough-nosed fighter who has no problem biting down on his mouthpiece and get dirty in a fight. Cruz’s striking talents are powerful and refined, the Scott Marlowe trained fighter has an aggressive approach to the stand-up game and has fight ending power in his strikes. When “Killa” Cruz gets top position, his opponents are in for a long night. Cruz can finish fights from top position in a number of ways ranging from passing of the guard to get dominant position to raining down strikes forcing an opponent into an overwhelming state of ground and pound, and Cruz also has top-notch submission skills that are both crafty and technical. One of the marquee wins of Cruz dates back to July of 2013 where he’d take on Felipe Chavez of Lutrell’s MMA. In that fight, Cruz would pull off the “Submission of the Year” in New Mexico when he executed a arm-lock from the scarf-hold position, a technique traditionally seen when wearing the Gi. Cruz is a tough-out for anyone and his fight on Friday night will have some redemption opportunity for the Rio Rancho trained fighter. The Jackson-Winkeljohn trained Briones (13-4) is one of the hottest names in Mexico and comes to New Mexico has a hot prospect prepped for the UFC when they announce their expansion south of our border. 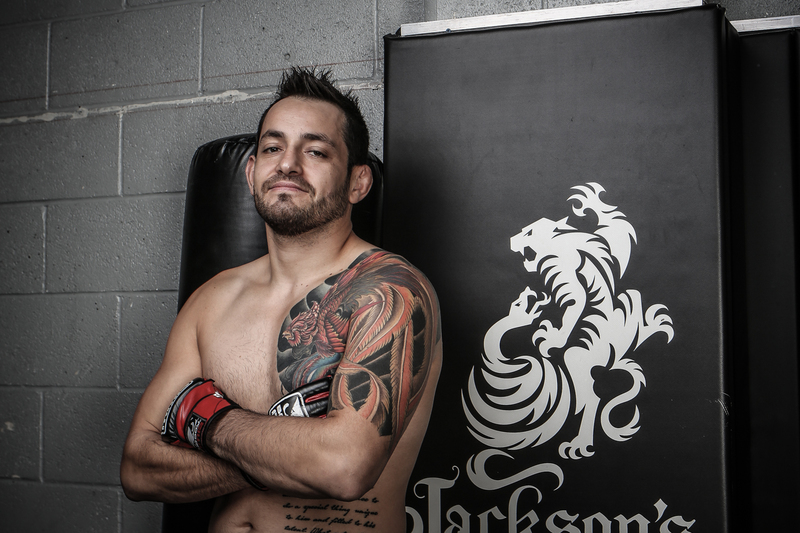 Working with coaches Mike Valle to compliment his time with Greg Jackson and Mike Winkeljohn, Briones is part of an elite MMA team who will prep him for the big show. The Jackson-Winkeljohn fighter, Henry Briones has the talent and the world class preparation heading into the bout. With a win, Briones will earn his first marquee victory on American soil. Briones has dynamite in his strikes, “Henry Bure” owns seven TKO victories in thirteen career victories; which is complimented by four submission wins to make his career finishing rate an impressive 85%. The Mexican fighter represents the wave of fighters from Mexico who have made a home in Albuquerque at the Jackson-Winkeljohn gym. Briones joins teammates “Moggly” Benitez and “Dodger” Montano as part Mexican MMA movement currently in full swing in our state. Briones is a very explosive and methodical striker who can be very patient awaiting a perfect time to strike but when he sees the opening, Briones is aggressive and ferocious. His finishing ability is extremely impressive and one of his best skills is being able to capitalize on opponent’s mistakes. Insanely difficult to defeat, Briones has won six straight and his only losses within the last five years have come by judge’s decision, two of which being split decisions. The fight with Cruz comes with the opportunity to gain local fandom and propel himself higher up on the prospect rankings. The match-up between these two Bantamweights will be very intriguing as they have similarities in their talents but also clash when it comes to their technical skill sets. The two fighters are immensely talented and will undoubtedly challenge the other once the cage door shuts. The x-factor for Cruz may be his work ethic as Briones has been hard to finish over his career and the odds are definitely on the side of this fight going the distance. Cruz will need every bit of cardiovascular muscle he can muster as beating Briones may require 15-minutes of fast-pace offense. For Briones, the x-factor may be his ability to out-work Cruz. Can Briones find openings and can he consistently keep Cruz on the heels of his feet where he will be unable to mount his own offense. Cruz’s only loss came at the hands of a fighter who was able to out hustle Cruz from top position, Briones may not want to implement that same gameplan, but a high-paced workload may be his key to victory. Cruz will definitely have the ability to out strike Briones and Briones will have the arsenal to do the same. Cruz will have the talents to work a takedown and top-end grappling gameplan but Briones will have the footwork to counter that. This will be a true chess match and the outcome can be argued in so many different direction. Guess we will have to tune in fight fans! Keep up with Southwest Fight News this week for the Legacy FC 30 event coverage, bout breakdowns and analysis.